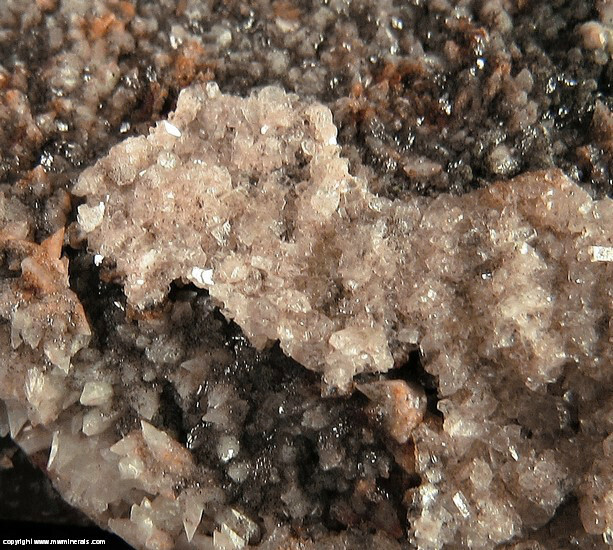 $750 Click here to order this mineral. 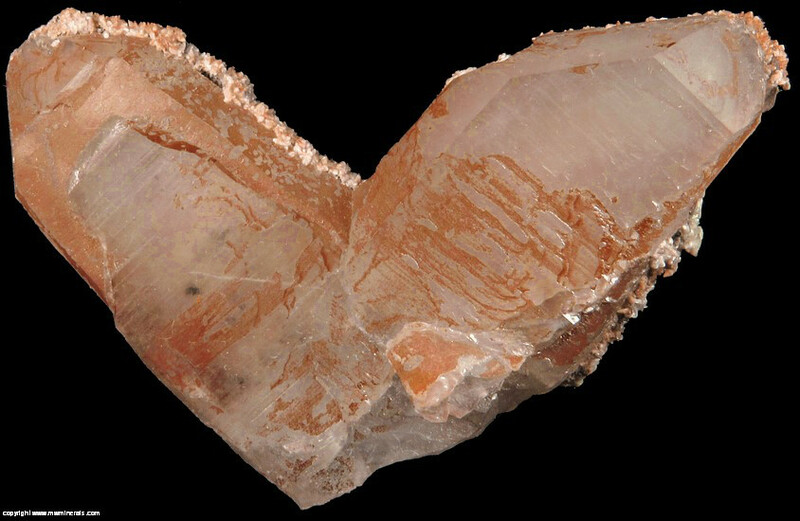 A well formed, large, Japan Law twin Quartz with interesting secondary minerals. 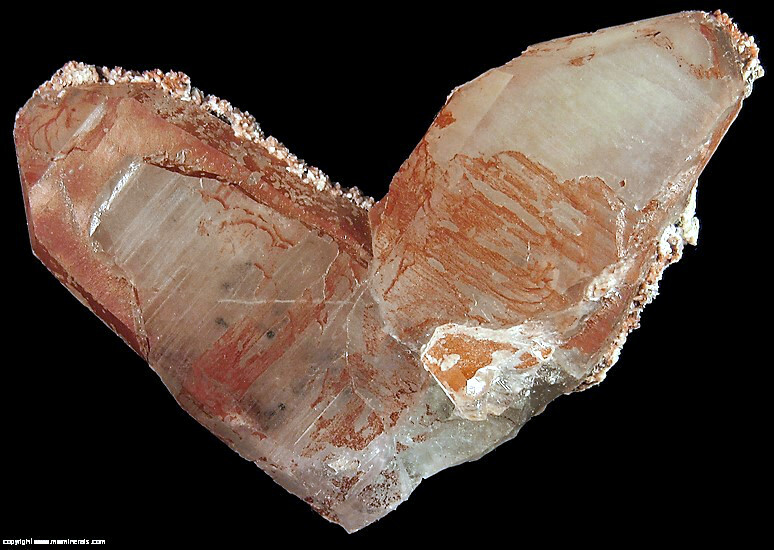 On one side, there is a thin layer of reddish colored Hematite in interesting patterns following the growth lines on the surface of the Quartz. 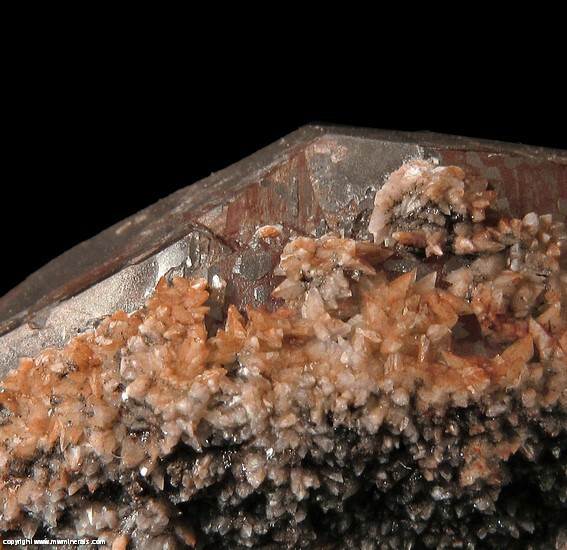 On the other side of the crystal. 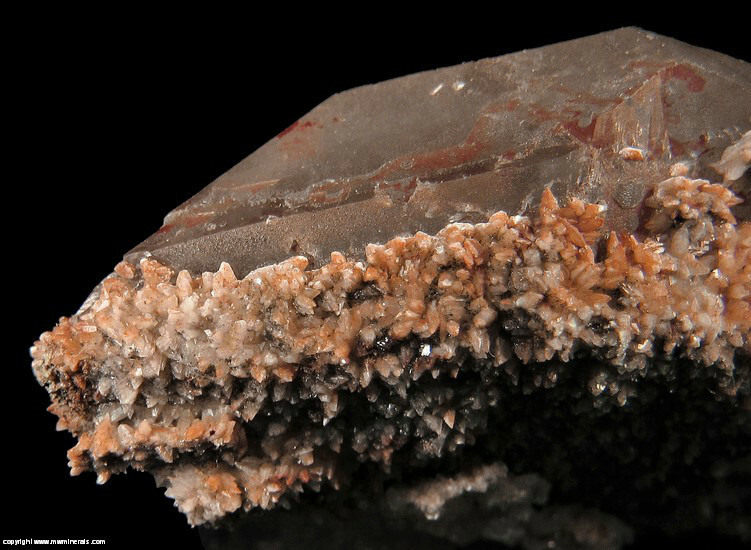 the Quartz is completely covered with Calcite which is colored red and black with Hematite. 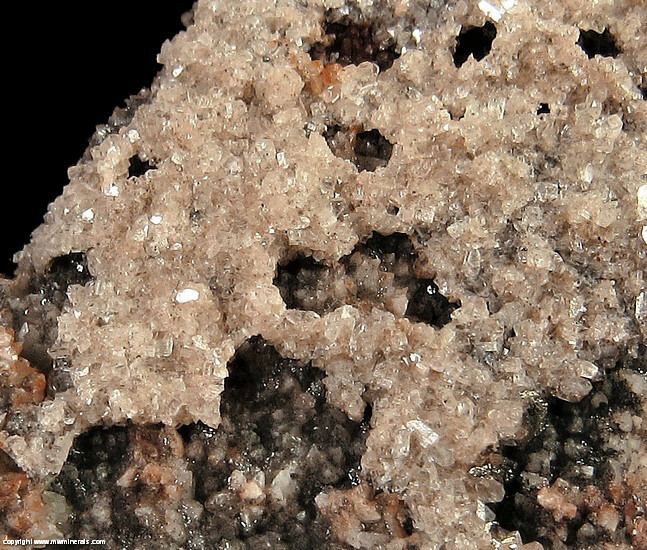 Covering the Calcite in places, are sparkly, small Dolomite crystals which are light in color with a hint of pinkish orange due again to Hematite. 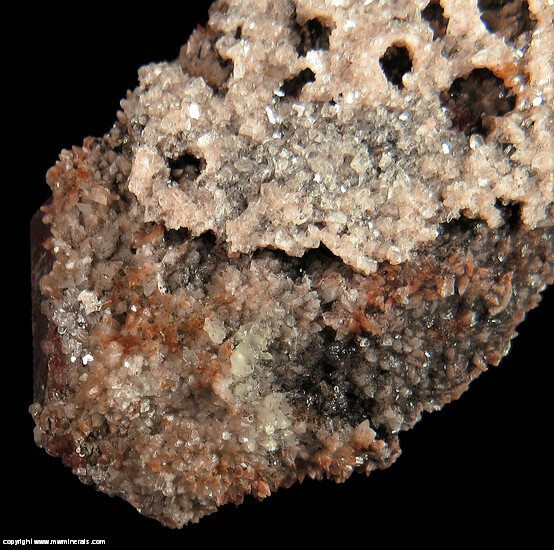 Overall, a very unique and interesting specimen. 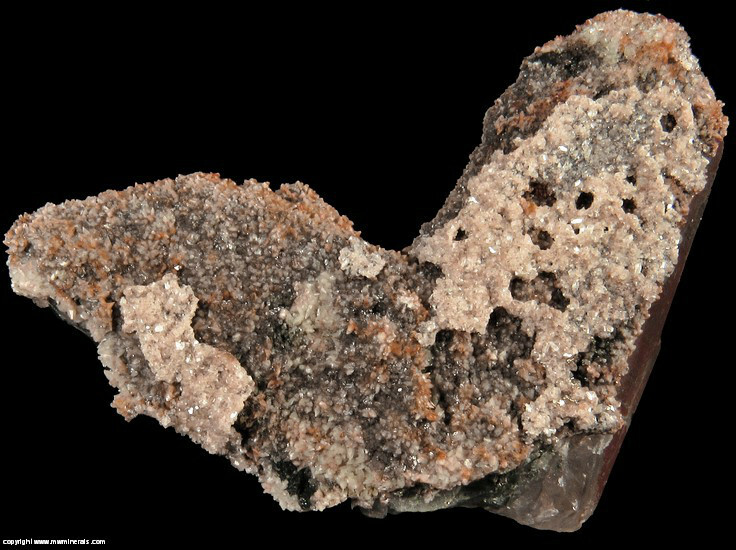 Alrhough the location is noted for Japan Law twins, this is a particularly large twin for the location which is also unusual for the secondary minerals on its surface.